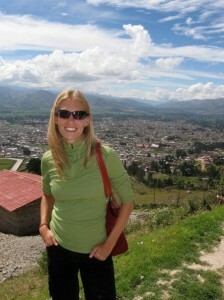 At the beginning 2010, my next guest left her life as an Occupational Therapist in the United States and found herself as a lonely housewife in Lima, Peru. But it didn’t take long to overcome the fear of a foreign city, catcalling men, and wild street dogs to become a marathon runner, a cook, an English teacher, and a Social-Media Marketing Manager. Danielle Krautmann (DanielleLParker [at] gmail [dot] com), welcome to The Pursuit Zone.